If you look at the examples set by large companies, it can seem like you need a huge budget to build your brand. Fortunately, this isn’t the case. As someone who provides services to businesses of all sizes, I encourage my clients to make the most of their budgets and find creative ways to build brand recognition. One of the first things to recognize is that branding is not synonymous with marketing. • The style and image you project. If your business were a person, what kind of personality would it have? Serious, hip, classical, ironic, stylish? Branding is the art of calling attention to your business’s distinctive characteristics. Although branding isn’t the same as advertising or marketing, you can and should include branding within your advertising and marketing. For example, a sales page explains the features and benefits of your product. At the same time, your logo and the overall style of the page is an exercise in branding. Branding is a little harder to quantify than marketing and advertising, where you’re buying ads or bidding on keywords. Large companies with big budgets have the luxury of conducting ambitious branding campaigns. Companies such as McDonald’s or Coca-Cola sometimes launch ad campaigns that barely mention specific products. Smaller businesses can’t afford such a low-key approach, as their names aren’t yet so well-known. You can, however, take lessons from the clever and indirect manner that famous brands often employ. Here are some of the best branding strategies that don’t cost a fortune to implement. • Network. I’ve found that some of the best ways to spread the word about my company involve traditional networking. This includes simple actions such as handing out business cards and attending live industry events. It’s also important to get your employees on board with your branding strategy and make them understand that they are the face of your business. • Use Social Media To Build Your Brand. Organic social media campaigns on sites such as Facebook, Twitter, Instagram and others are one of the best low-cost branding tactics. Don’t use these pages simply to promote your offers. Share helpful tips and news with your audience. One of the most effective approaches, in my experience, is to share the benefits of your products or services without directly promoting them. For example, if you have a restaurant that serves healthy, locally grown produce, talk about the health benefits of consuming fresh food. • Utilize Content Marketing. Articles, blog posts, videos, white papers and other content build authority for your brand. There are only costs associated with this type of branding if you outsource it or if you promote your content using paid platforms or sponsored social media posts. • Monitor Reviews. What others say about your brand is at least as important as what you say about it yourself. That’s why it’s so essential to monitor your brand on social media as well as review sites such as Yelp, Google, Angie’s List and anywhere else your business is listed. When it comes to reputation management, one of the key principles is to stay informed and engaged. If you get complaints or bad reviews, stay calm and do your best to remedy the situation. • Gather Testimonials And Case Studies. Placing testimonials on your website is a powerful way to build your brand. I also find that case studies are very helpful. This isn’t relevant to every business model. If you have a service, however, reach out to customers and ask if they’d be willing to share how it helped them. • Recruit Influencers. When influencers in your industry represent your business, you borrow their image and credibility. This is not a free method and can be one of the costlier ways to build your brand. However, you can begin at a modest level, working with micro-influencers with solid followings but who aren’t world-famous. Make sure you reach out to influencers who are suitable matches for your brand. These are some examples of economical branding techniques that any business can use. The costs of these strategies vary depending on your approach. The point to remember is that it’s definitely possible to engage in effective branding on a small budget. 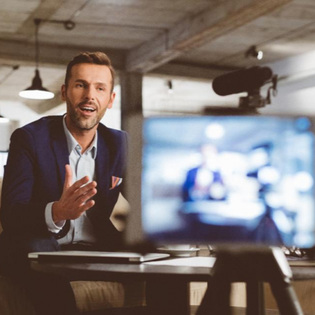 By targeting the right audience and creating content that establishes your distinctive voice, you can create a strong brand image using free and low-cost strategies.